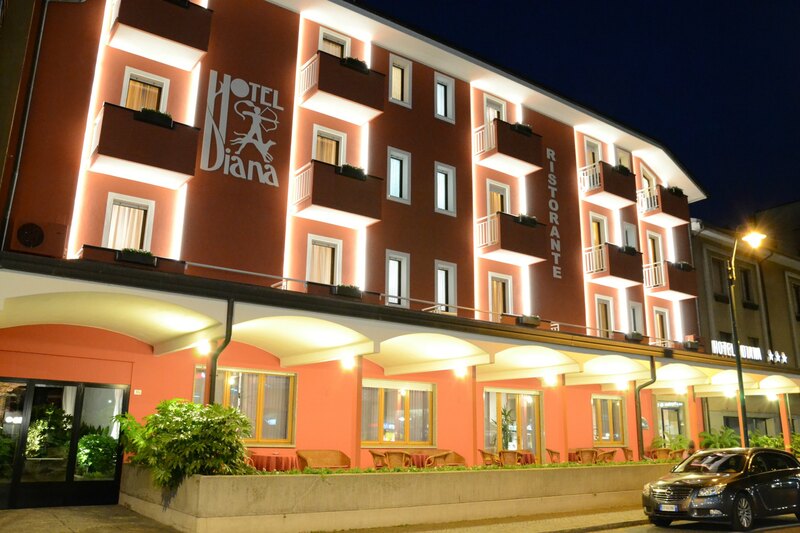 The Diana three star hotel in the center of Boarium Spa, is located in a quiet area only 30 meters from the Park, the establishments and the thermal center . 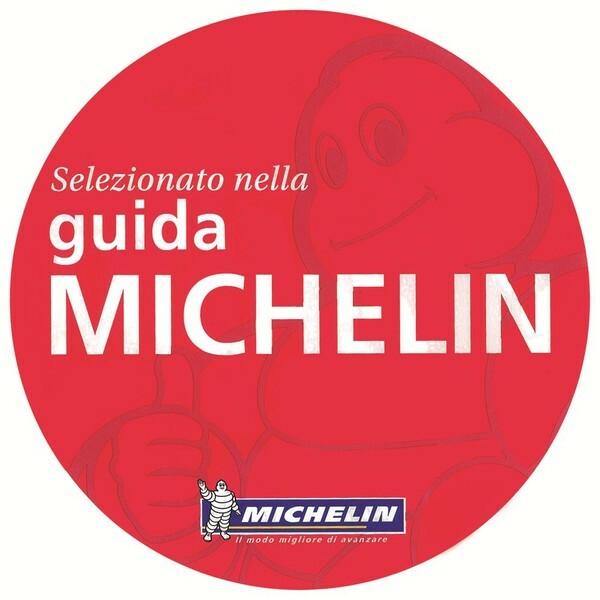 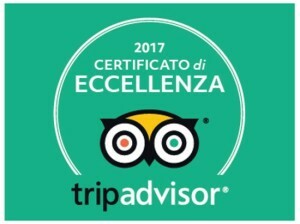 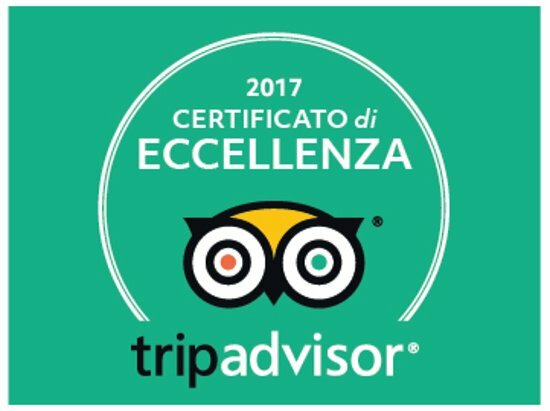 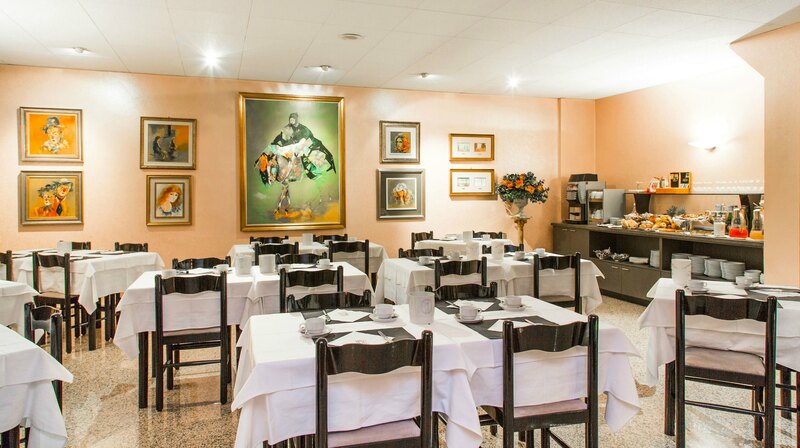 The direct management of the family Pezzotti is a guarantee of courtesy and professionalism, quality over forty years we have marked . 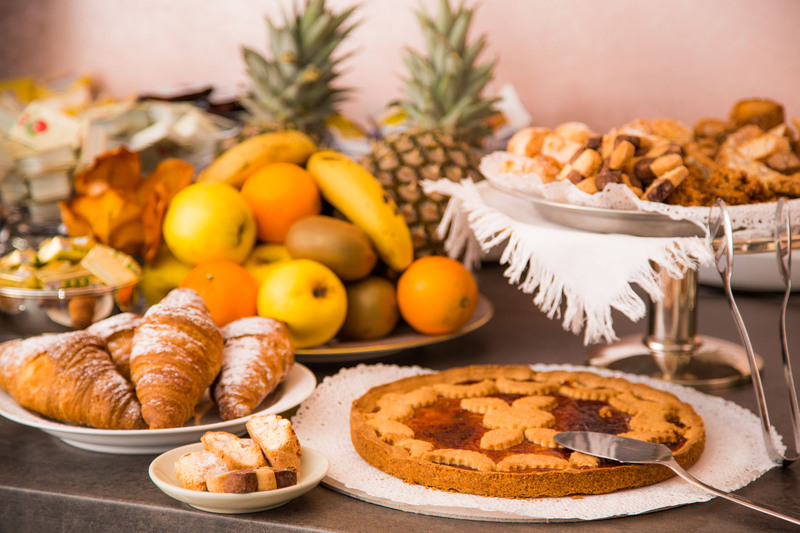 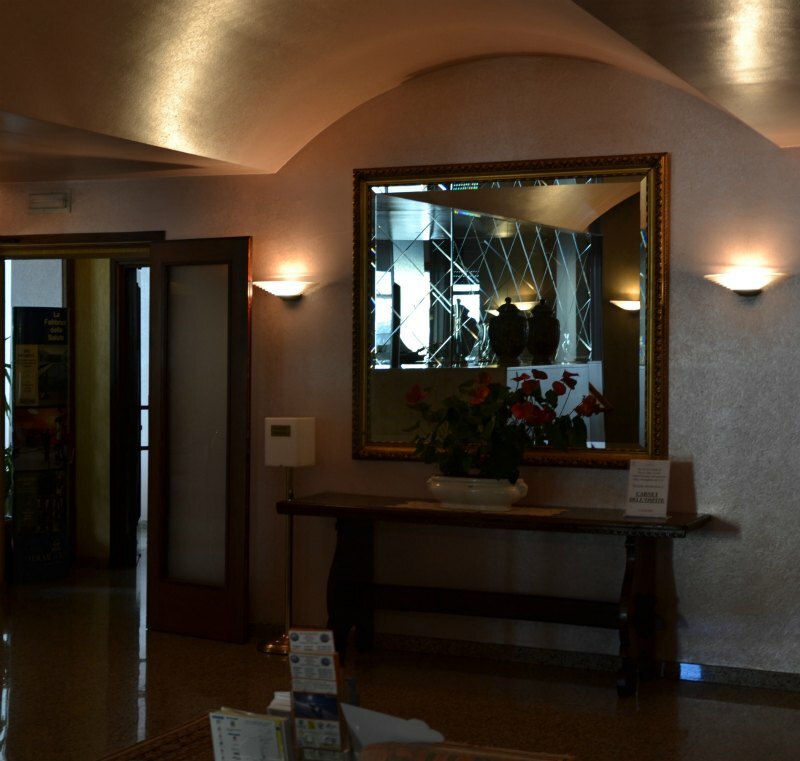 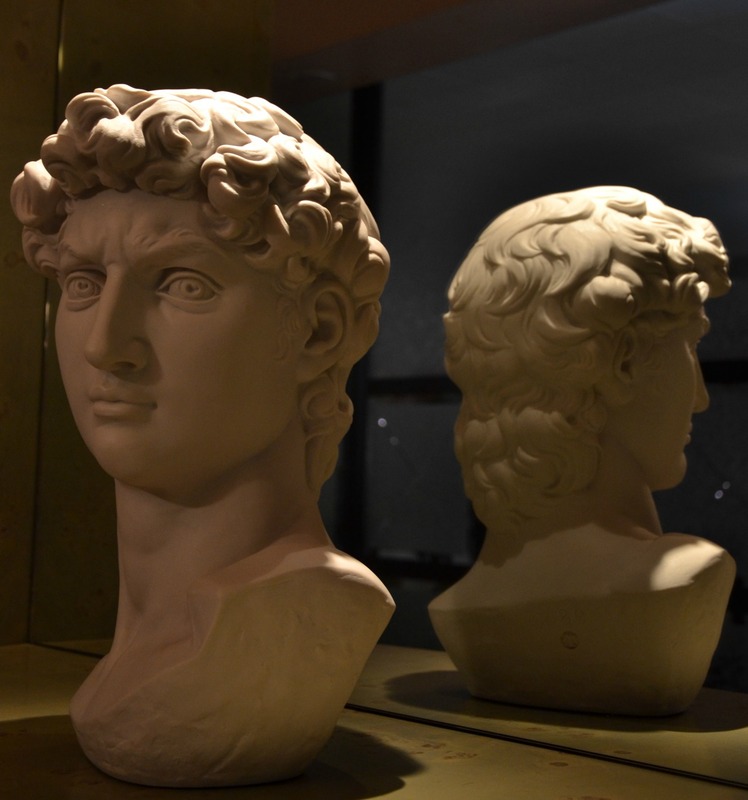 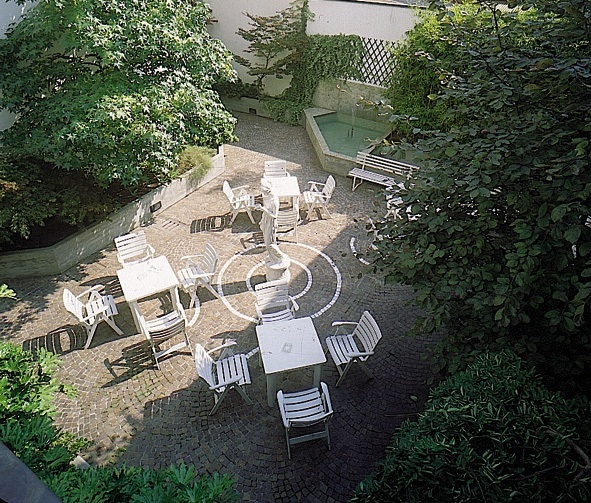 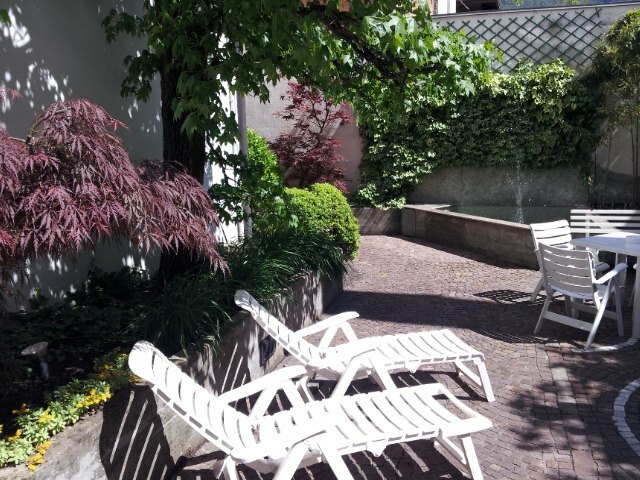 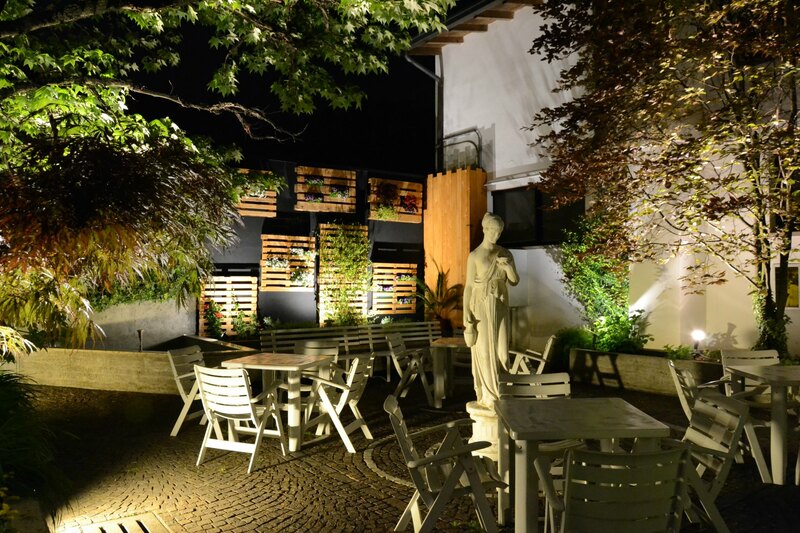 L ‘ Hotel offers its guests an environment with common areas Vast starting from the outside where you can enjoy the tranquility in the enviable outdoor area or mondaneità in porch overlooking the flower-filled shopping street . 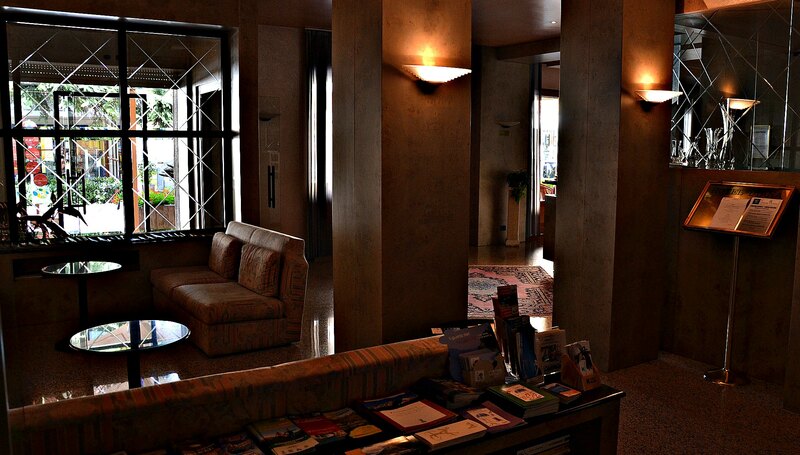 The interior is spacious and functional with each other starting from the lobby, where you will find the reception, tour desk and a reading corner for newspapers and magazines. 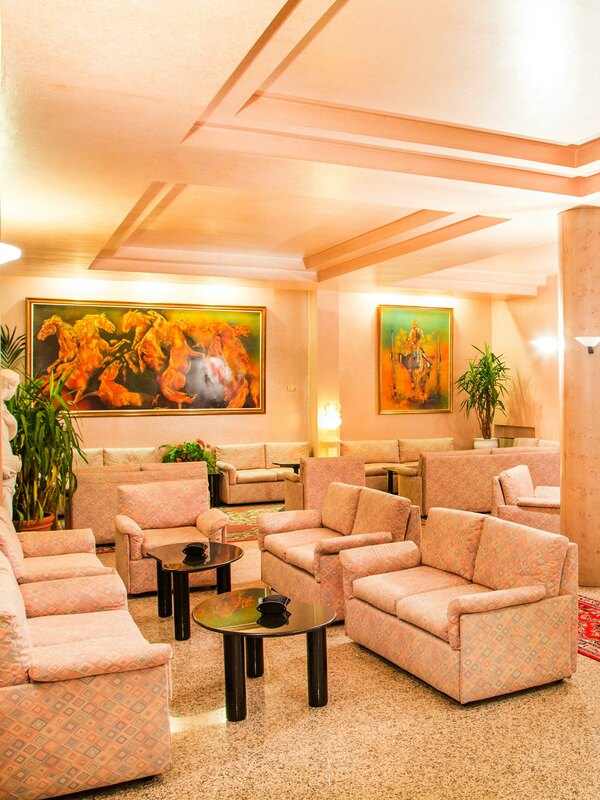 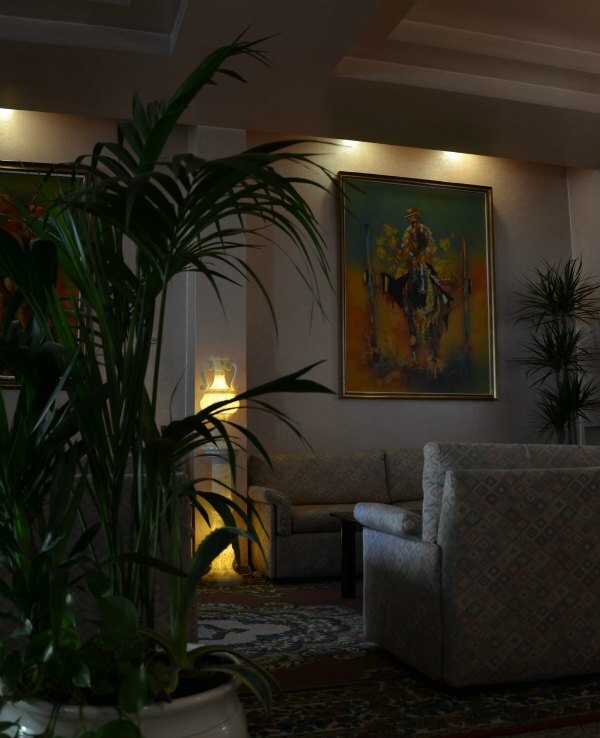 The lounge bar decorated with large paintings of horses and riders is communicating with the gazebo and terrace porch where you can relax and enjoy a nice herbal tea and read one of our books. 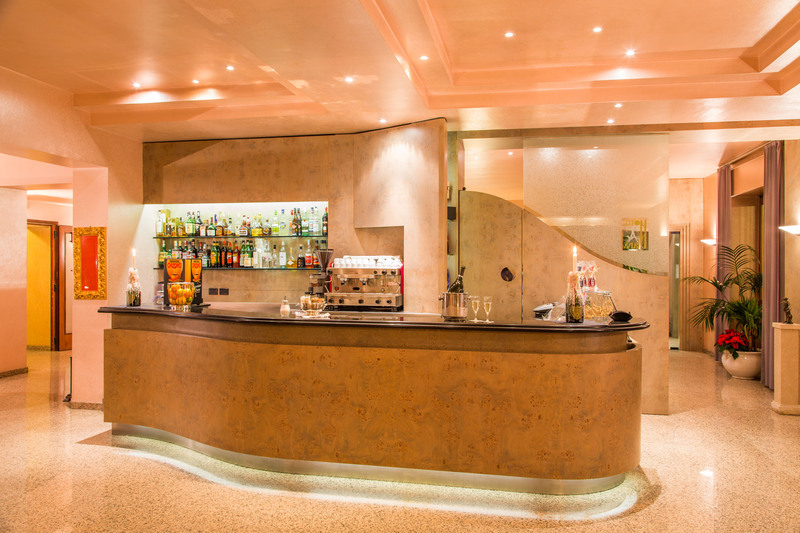 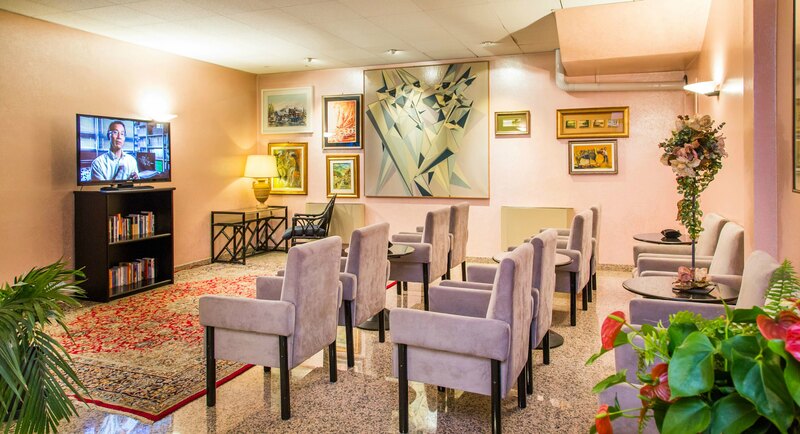 Adjacent to the lounge bar we have the corner of the cards and chess in the evening where we gather to compete and spend pleasant moments of conviviality. 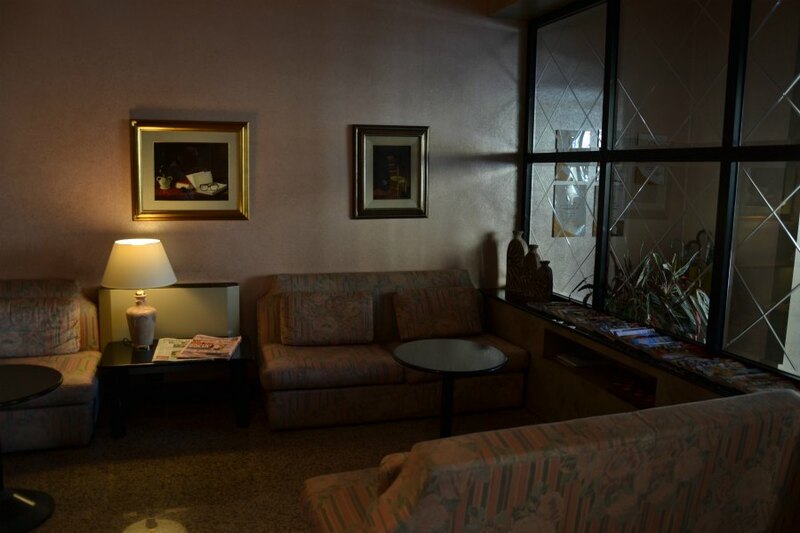 Secluded we have the TV room where with a screen 51 inches above all enjoy the moments of sports all together. 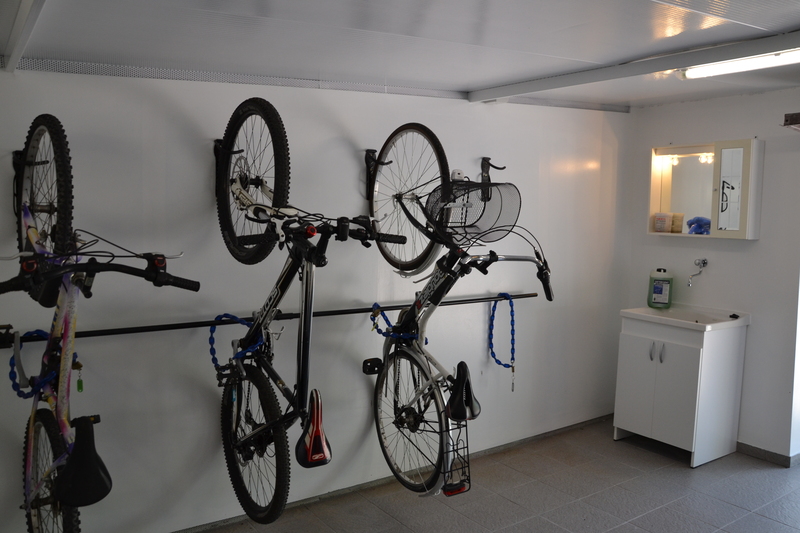 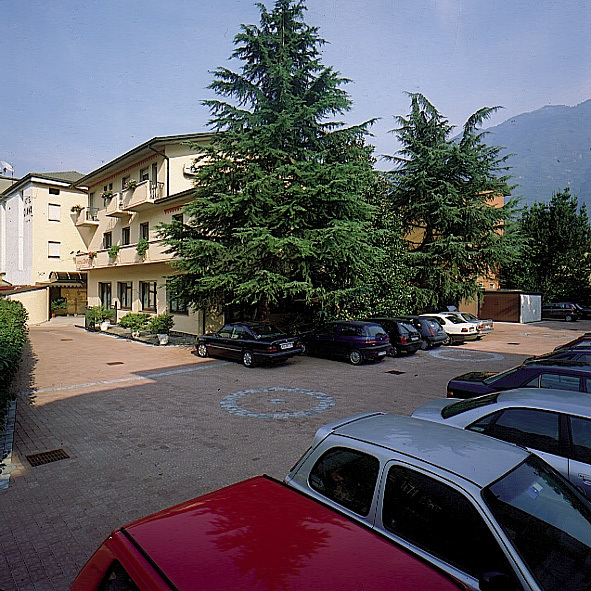 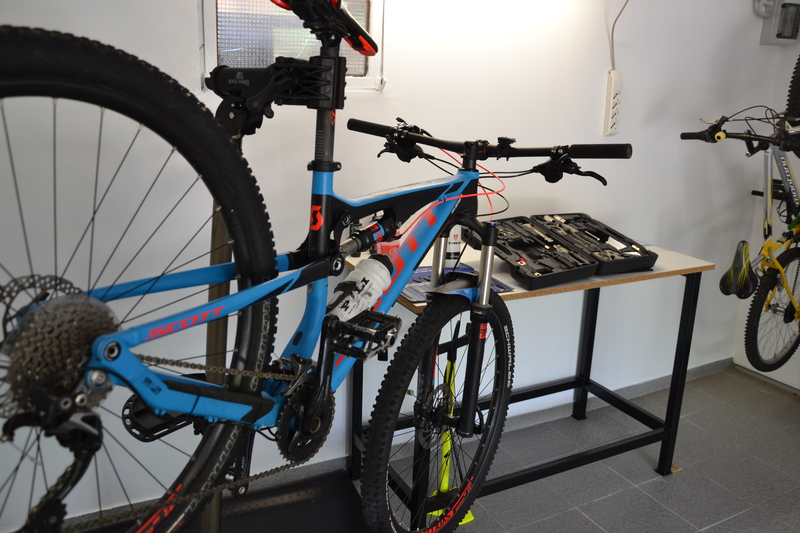 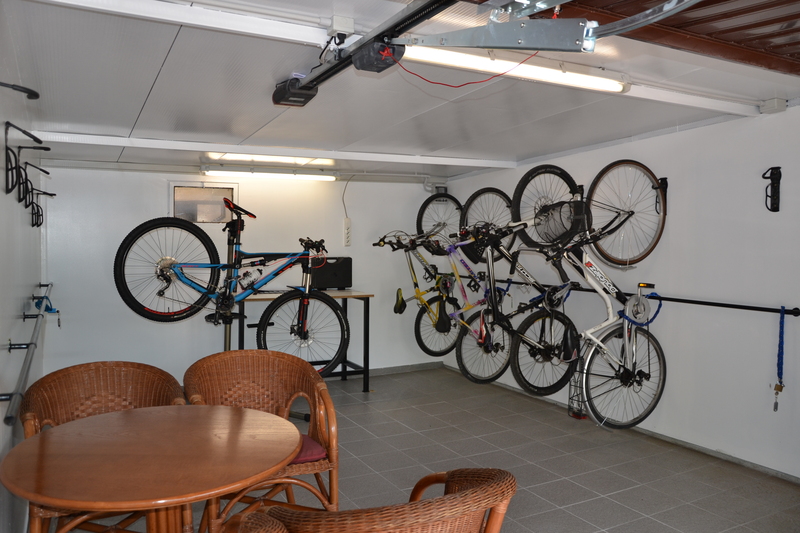 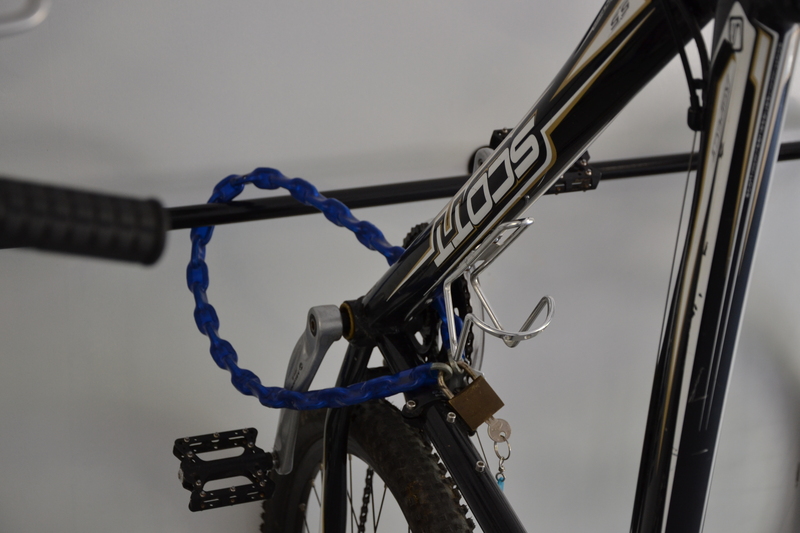 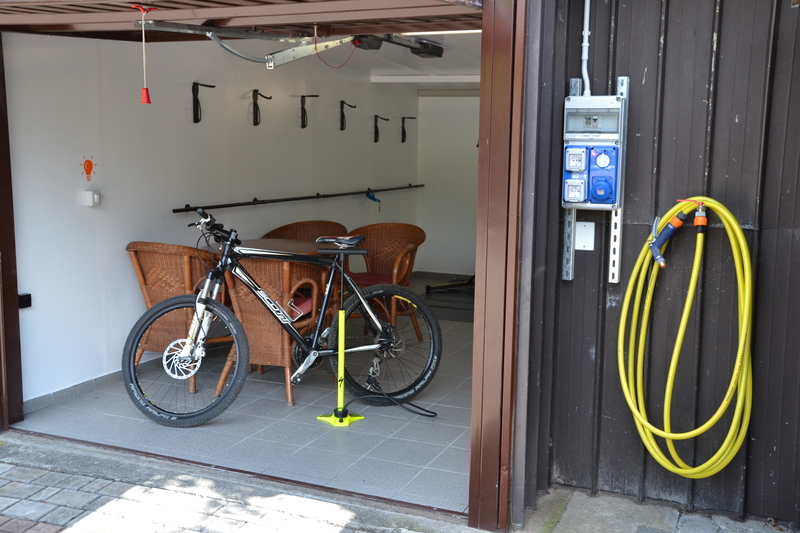 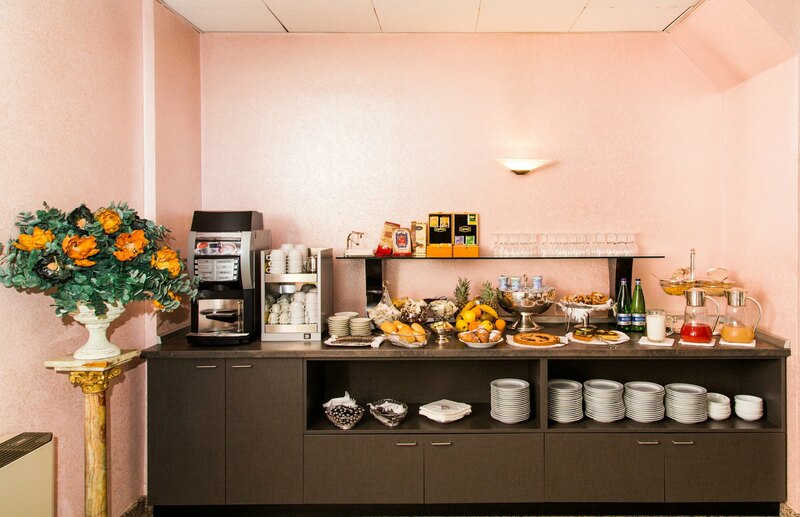 The hotel also has a large private parking for its guests and for the sport we provide bicycles to move easily in the city or along the bike path Vallecamonica . 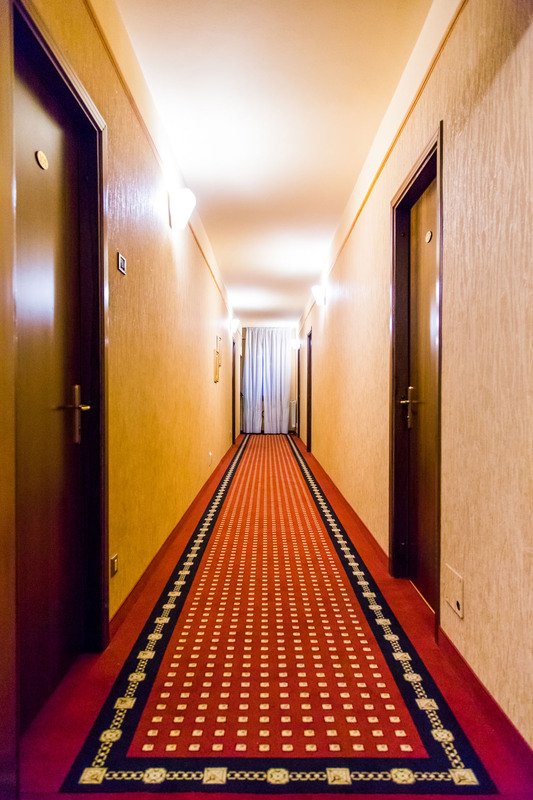 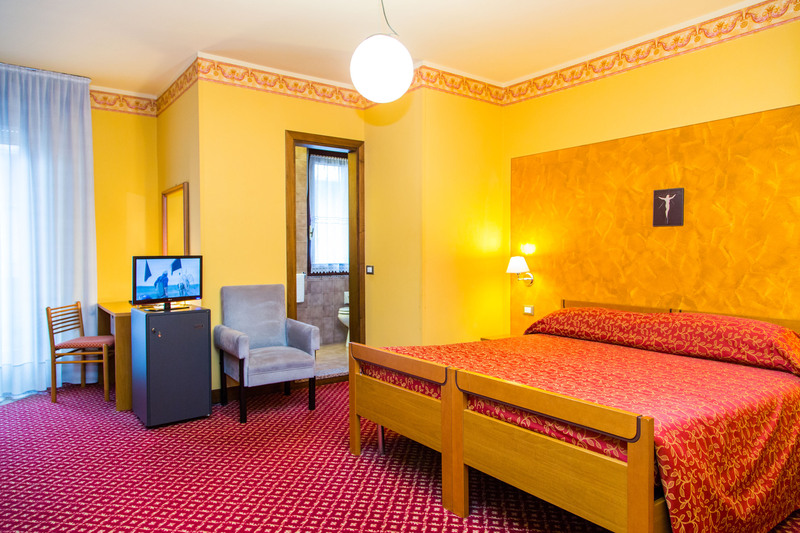 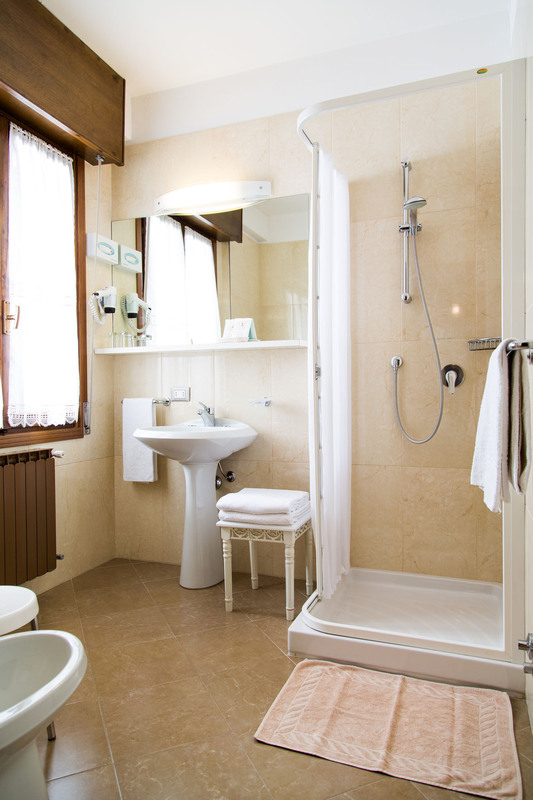 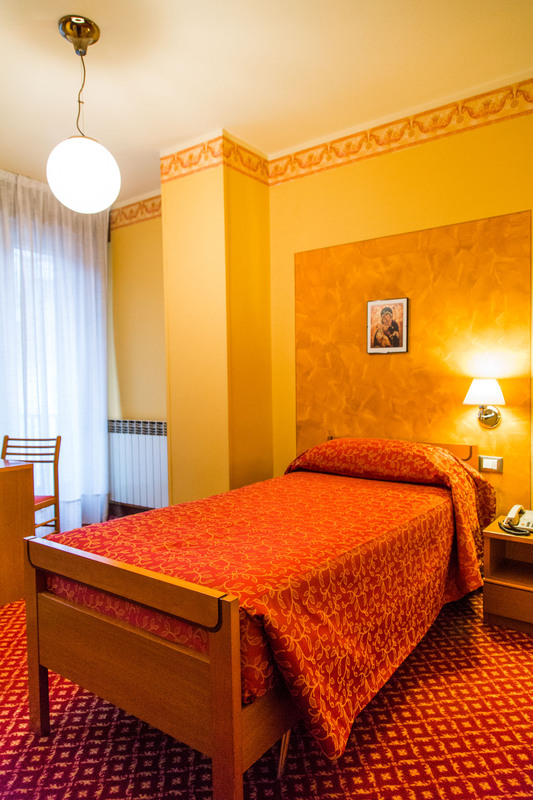 The rooms are newly renovated with carpet , except with parquet . 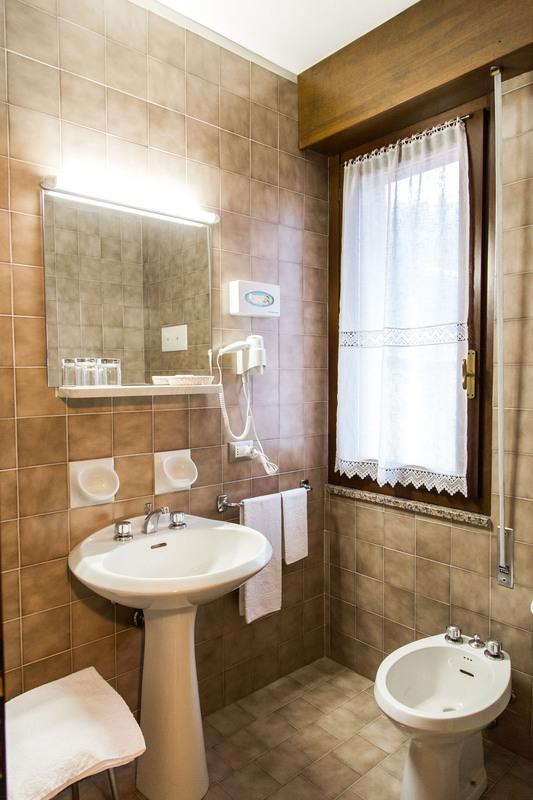 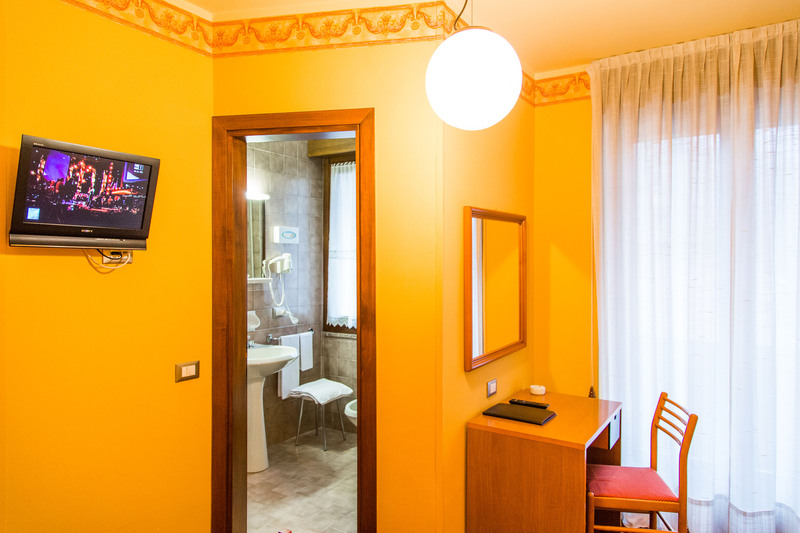 All are supplied as LCD-TV with satellite reception , free Wi -Fi , radio , digital safe, hair dryer , complimentary toiletries , direct dial telephone and bathroom with shower. 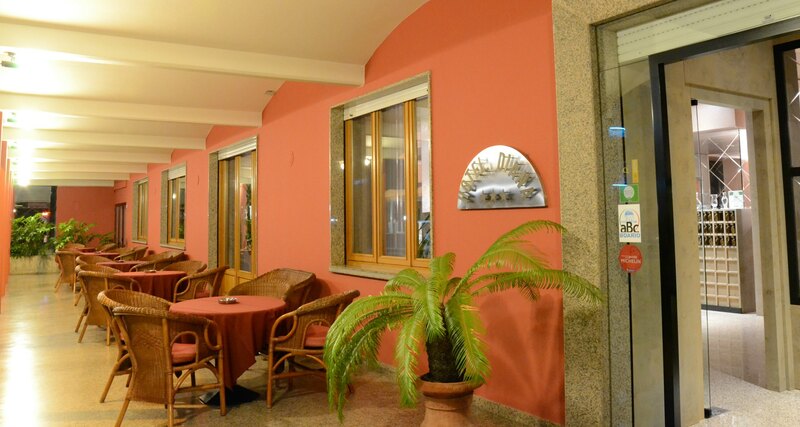 Many also feature a private balcony. 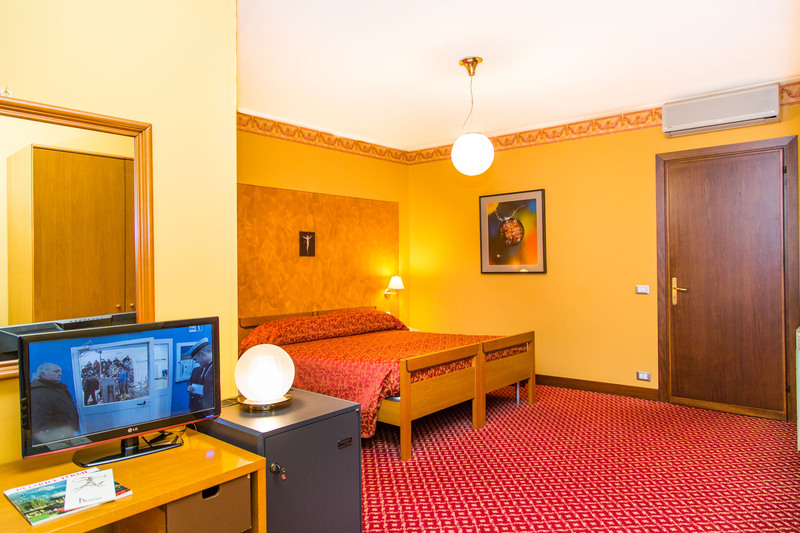 All rooms also have an independent air conditioning , available for a small daily fee.